We designed this nifty controller for extreme hobbyists, it ingrates with hobbit remote systems and gives you proportional control of our Linear Actuators with potentiometers. Great for RC projects, large scale aircraft, large scale RC cars, go carts, golf carts or anything you want, we even have a customer that used one and made his BBQ smoker radio controlled. 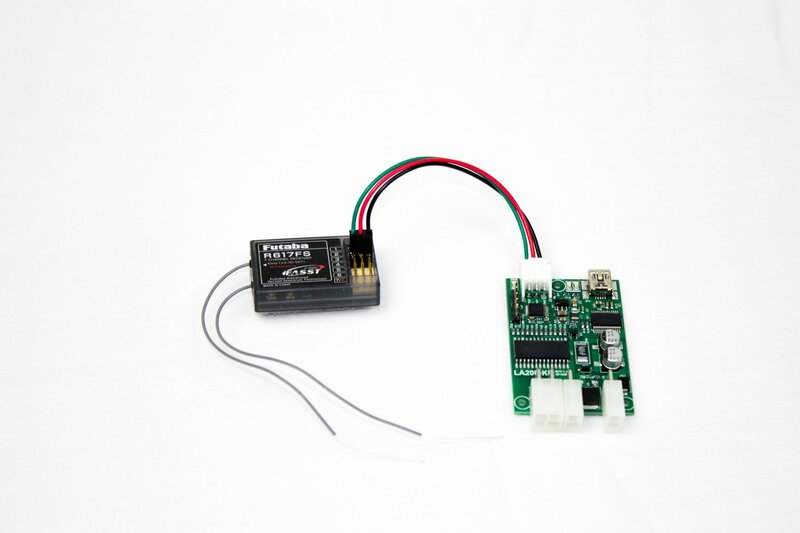 This controller works with Futaba and other similar controls and will provide phantom power for their receivers. If used in a school or University project please contact us for wholesale pricing.